HOLLYWOOD SPY SPOTLIGHT ON 2013 APOCALYPTIC FILMS PART II - "OBLIVION" WITH TOM CRUISE & BRAD PITT'S "WORLD WAR Z"
crazy man Tom Cruise, stunning Olga Kurylenko, GAME OF THRONES' Nikolai Coster Waldau and Morgan Freeman. 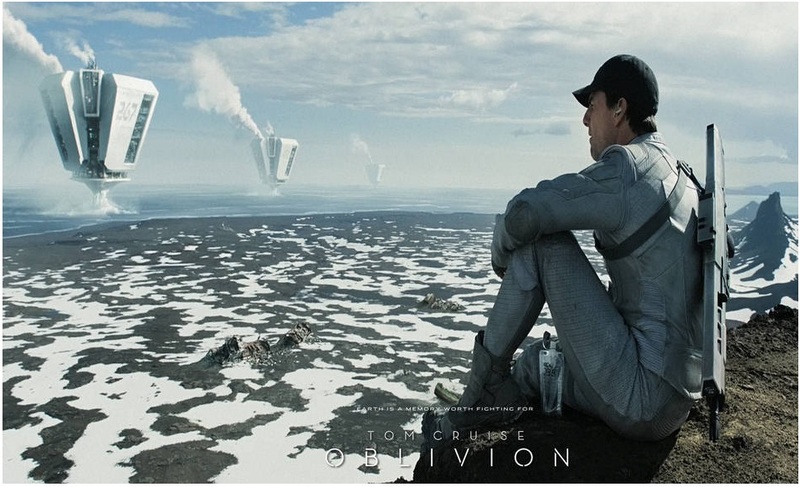 Directed by TRON:LEGACY helmer Joseph Kosinski, the story is set in post-apocalyptic Earth, where civilization lives above the clouds and scavengers illegally collect artefacts from the polluted and destroyed surface below. When one young scavenger discovers a crashed spacecraft planetside - and a beautiful women within - he rejoices at the find. Little does he realize that his discovery will lead him to a journey filled with romance, adventure and unimaginable danger. Having in mind that Tom Cruise's latest film JACK REACHER has been a shocking flop at the box office the question is whether OBLIVION will manage to return it's costly budget of $140 million. 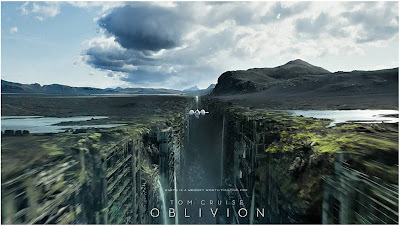 Before the lead female role went to gorgeous Olga, it was the focus of a competition between Olivia Wilde, Jessica Chastain, Kate Mara and many others. While Kate Beckinsale, Diane Kruger and Hayley Atwell all auditioned for the second female role which later on went to an uknown actress. 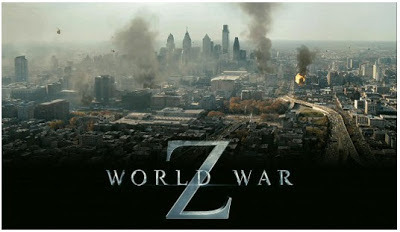 includes Matthew Fox, David Morse and James Badge Dale as Captain Speke, an American soldier who tries to warn the government that the threat of zombies is real, and the director is dashing Michael Forster from QUANTUM OF SOLACE. of the film underwent lots of problems - from all the weapons used in the scenes being seized by the Hungarian police, to Brad Pitt shooting some of the scenes in a Viagra factory and to tones of American cars and trucks being shipped over to UK sets to give the authentic look. 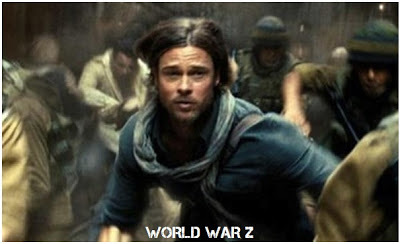 and is preparing tones of apocalyptic movies for 2013, so let us do a spotlight on them. Today the first part, tomorrow the second one. 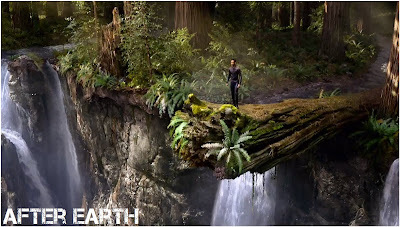 years after cataclysmic events forced humanity's escape from Earth with Nova Prime which has become mankind's new home. Legendary General Cypher Raige returns from an extended tour of duty to his estranged family, ready to be a father to his 13-year-old son, Kitai. When an asteroid storm damages Cypher and Kitai's craft, they crash-land on a now unfamiliar and dangerous Earth. 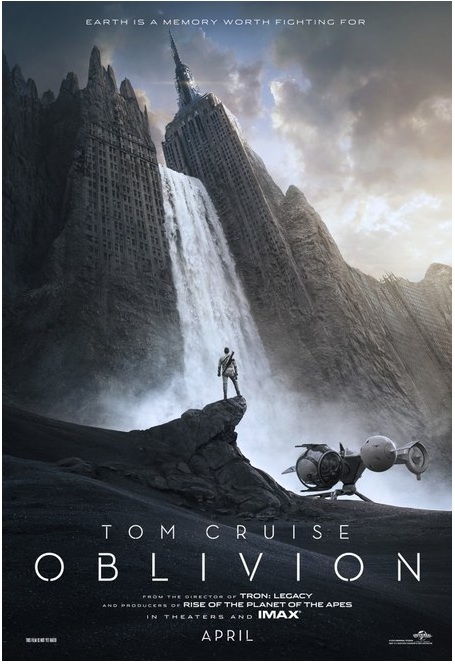 As his father lies dying in the cockpit, Kitai must trek across the hostile terrain to recover their rescue beacon. His whole life, Kitai has wanted nothing more than to be a soldier like his father. Today, he gets his chance! Now I must confess that I do like the visuals of the film, both the sets and the costumes seem rather enchanting in a futuristic kind of way as you can see in the trailer below. The film is directed by M. Night Shyamalan and this is his first movie after the 2010 flop with THE LAST AIRBENDER. 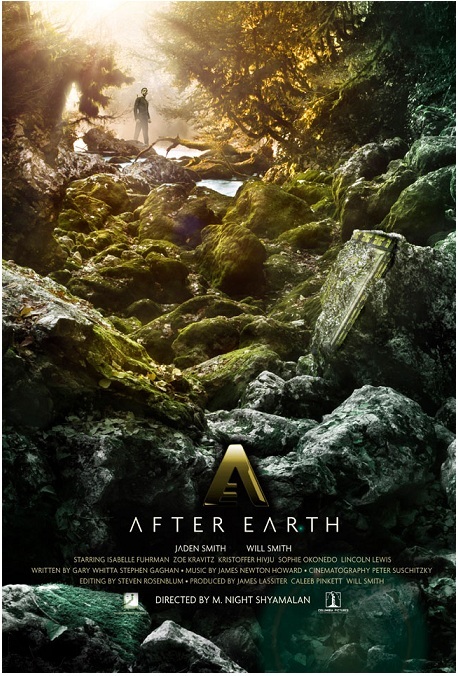 After this one, Will Smith has three sequels to do - for HANCOCK, BAD BOYS and I, ROBOT, and he will also star in fantasy movie WINTER'S TALE with Russell Crowe, Matt Bomer, Colin Farrell and William Hurt. 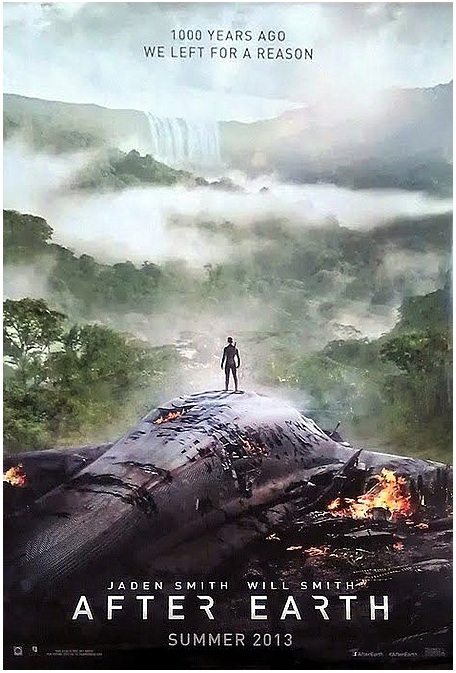 The funny thing is that he was also supposed to shoot the sequel to INDEPENDENCE DAY, since he obviously loves doomsday flicks, but, thankfully, that one was cancelled due to budget issues. 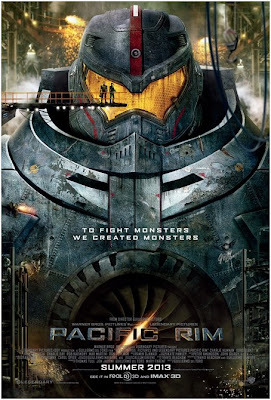 forces defending mankind have no choice but to turn to two unlikely heroes -a washed up former pilot (Charlie Hunnam) and an untested trainee (Rinko Kikuchi)- who are teamed to drive a legendary but seemingly obsolete Jaeger from the past. Together, they stand as mankind’s last hope against the mounting apocalypse.The cast also includes Idris Elba, Ron Perlman, Robert Kazinsky. As HOLLYWOOD SPY reported before, Charlie Hunnam is leading the cast of History Channel's first scripted television series VIKINGS which is to air sometime next year. Meanwhile, Idris Elba will again play Heimdall in THOR: THE DARK WORLD sequel! Del Toro is working on future THE INCREDIBLE HULK TV series as the producer. film LORD OF MAGIC the story of which will give us a look at Britsh Lords and their attempts to conjure incarnate spirits and summon the dead. In this remarkable esoteric horror thriller, we will journey into the arcane world of 'real magic' when famous writers such as Arthur Conan Doyle, H.G. Wells and William Butler Yeats practiced magic in the occult as an art. As HOLLYWOOD SPY informed you the British redhead will also be seen next year as Lord Capulet in the new take on ROMEO AND JULIET, and will also star in US television mini series TO APPOMATTOX which will depict the emotional lives of America's Civil War generals, their wives and families - from West Point to Appomattox - against a backdrop of a war. 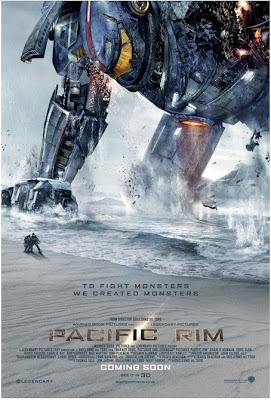 Rob Lowe will play Ulysses S. Grant, Stephen Lang will be Abraham Lincoln, and the cast will also have D.B. Sweeney, Dwight Yoakam, Jason O'Mara, Johnathon Schaech, Noah Wyle, Neal McDonough, Bill Paxton in the $46 million series. currently being shot in Serbia using Serbia's medieval fortresses as the sets. 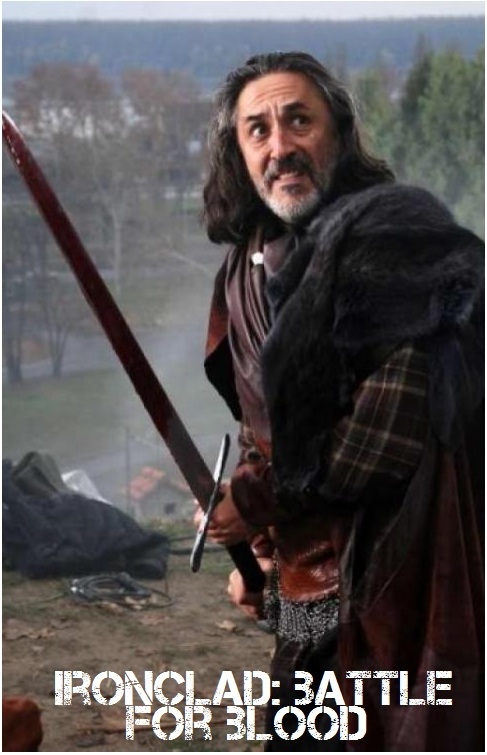 The story of the sequel, which should hit cinemas sometime next year, will revolve around a survivor of the Great Siege of Rochester Castle who fights to save his clan from from Celtic raiders. 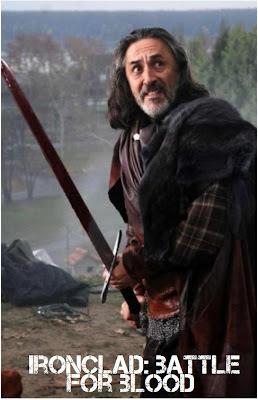 The first picture shows Serbian actor Predrag Bjelac (you remember him as Lord Donnon from CHRONICLES OF NARNIA: PRINCE CASPIAN, and as Igor Karkaroff from HARRY POTTER AND THE GOBLET OF FIRE) as Celtic leader Maddog who is seeking revenge against the English invaders who killed his son Ewan. Directed by Jonathan English, who also helmed the first film, the cast will also star delightful Tom Austen from MISFITS and THE BORGIAS. 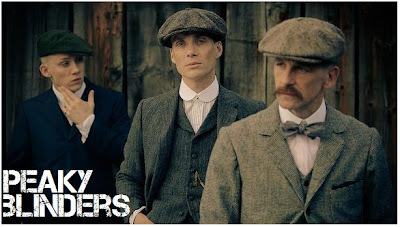 Woohoo, people, good news - we shall have yet another historical show coming up to the small screens in the future. According to "The Hollywood Reporter" CW is developing Robin Hood show SHERWOOD but instead of Robin, the focus of the show will be on a female vigilante who teams up with the fictitious outlaw and his Merry Men. 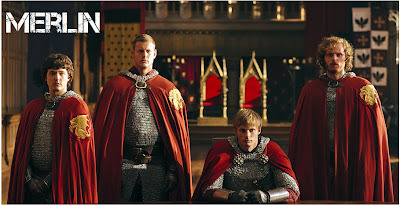 One hour long series, to be written by CASHMERE MAFIA's Tze Chun, will be set in 1072 in England and will depict the adventures of a noblewoman who attempts to free her wrongly-jailed boyfriend from Norman occupiers with the help of Robin of Locksley and his gang. Seeing help from the vanished Robin of Locksley, she inadvertently reunites and joins the fabled Robin Hood and his Merry Men, inspiring new hope for the oppressed people of Nottingham. 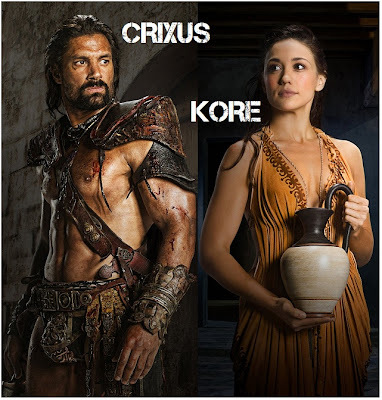 This is not the only epic show CW is developing since they are also working on AMAZON series which will centre on Wonder Woman and her origins. 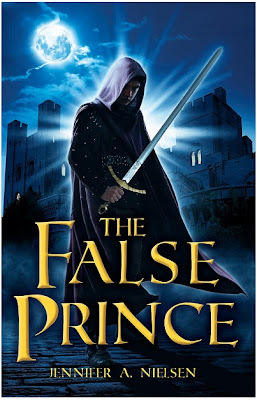 The same site also reports on Paramount preparing the movie adaptation of THE FALSE PRINCE novel by Jennifer A. Nielsen, which was published this April and is a part of the ASCENDANCE fantasy trilogy. Bryan Cogman, who is the story editor for GAME OF THRONES, will adapt this one which has story similarities with the HBO show: In a distant land, and with king, queen and crown prince murdered, a nobleman devises a plan to find someone to impersonate the king’s long-lost son and act as a puppet. An orphan finds himself chosen with three other boys in the running. 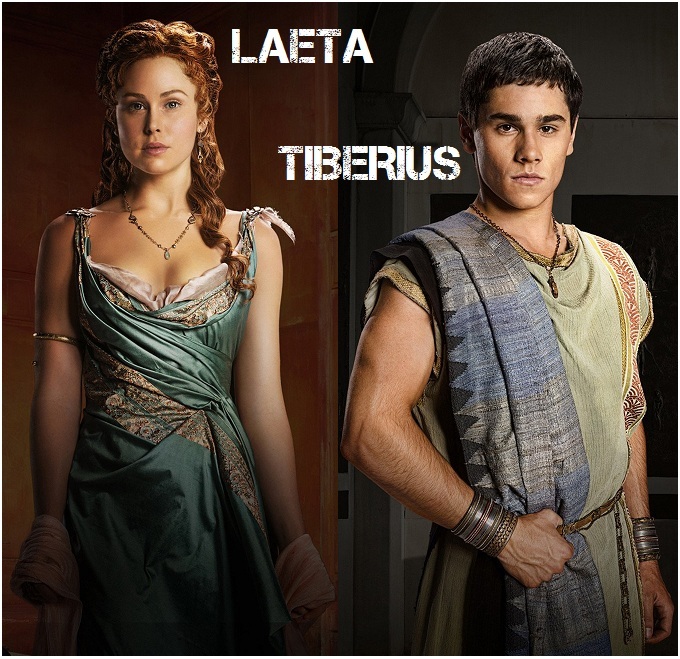 But this is no mere competition - with court intrigue and political conspiracies make it a contest to the death. I wonder why are so many YA female writers writing books about kids who have to fight to the death??? Deeply bizarre, disgusting and dangerous. refuses to make the same mistakes Glaber and his predecessors have. 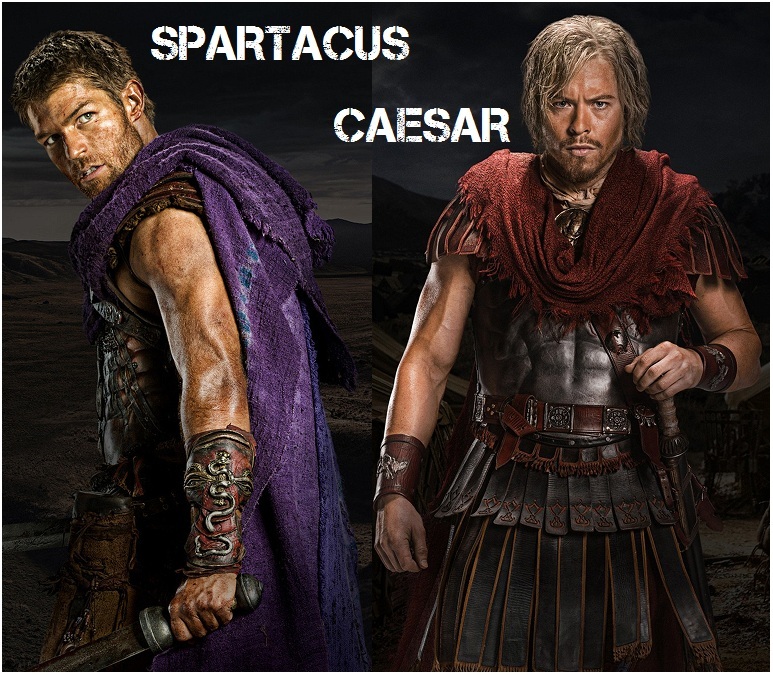 With a young and fiercely competitive Julius Caesar as an ally, Crassus is determined to crush Spartacus and his rebellion. 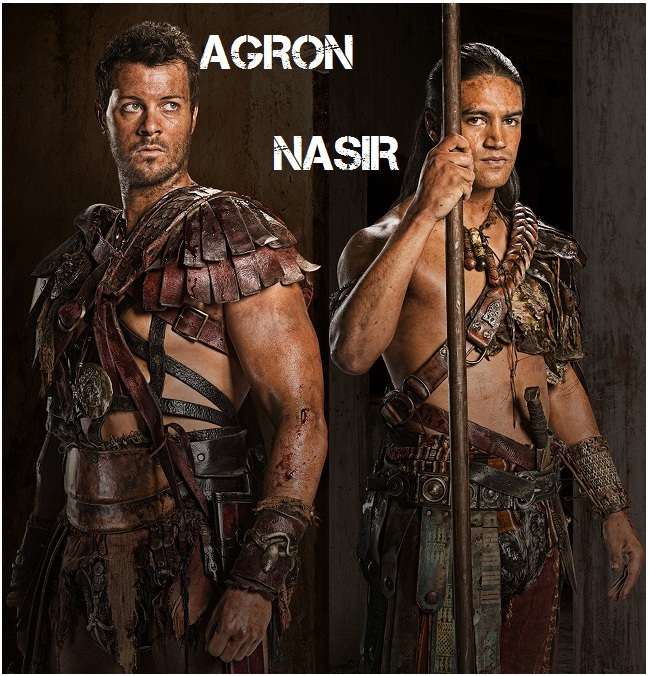 The epic conclusion of a legendary journey, SPARTACUS WAR OF THE DAMNED will unleash a battle unlike anything ever seen before. 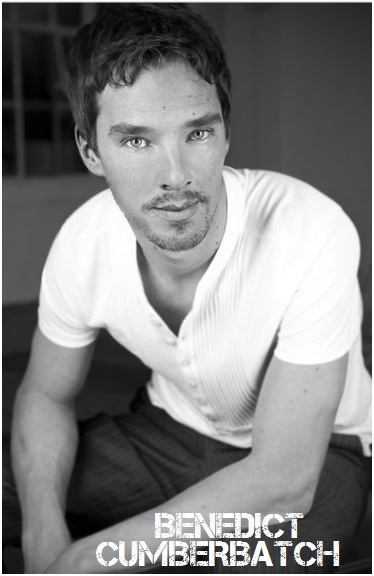 DAN STEVENS JOINS BENEDICT CUMBERBATCH IN "THE MAN WHO SOLD THE WORLD"! 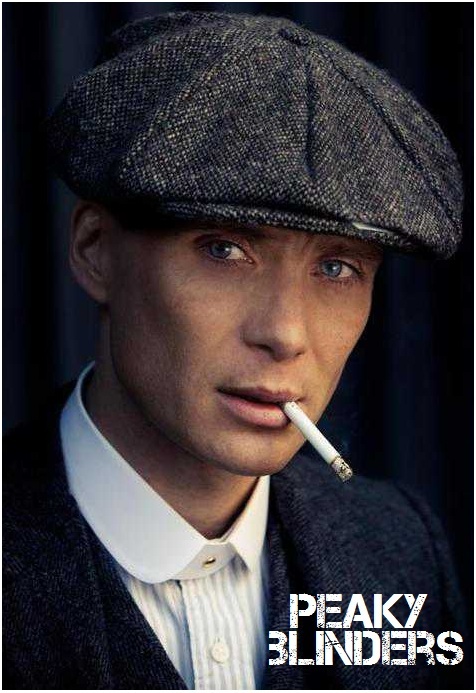 FIRST PICTURES FROM CILLIAN MURPHY'S "PEAKY BLINDERS" SERIES! DREAMWORKS TO ADAPT "LIGHT BETWEEN OCEANS"
It's a very slow holiday week in the movie news business, people, so bare with me. 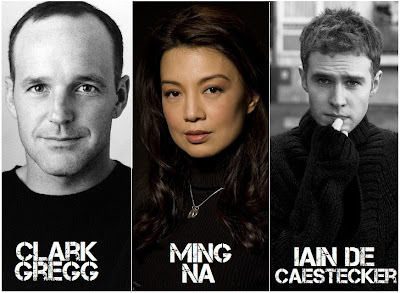 The casting info I have for you is for WikiLeaks movie which will probably be titled THE MAN WHO SOLD THE WORLD. I've informed you before that SHERLOCK's Benedict Cumber- batch will portray Julian Assange, the hero of the freedom loving world and the founder of Wiki Leaks who is currently the target of US world wide tyranny, and the new name in the cast is DOWNTON ABBEY's delightful star Dan Stevens. Dan, who is not returning to the fourth season of the British show, will play a hacker close to Daniel Domscheit-Berg, one of the company's most prominent spokesmen. Domscheit-Berg will be played by Daniel Bruhl, and Alicia Vikander is also in the cast. Yet another period set project will come from Dream Works. 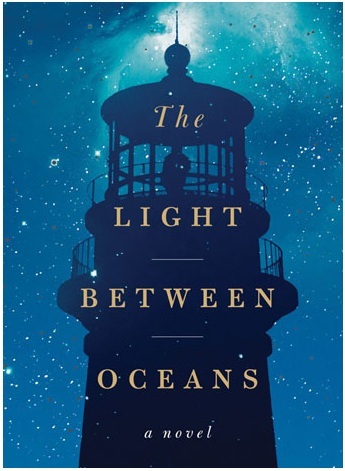 According to "The Hollywood Reporter" the studio has bought movie rights on LIGHT BETWEEN OCEANS, debut novel from M.L. Stedman. To be produced by HARRY PLOPPER producers, the story is set on an island off the coast of Western Australia after World War I. A lighthouse keeper and his wife find a 2-month-old girl and a dead body in a rowboat and decide to raise the baby as their own. But what seems like a blessing soon turns tragic, as morality and love are tested. It is a story of human choices and their consequences, the story of marital and parental love. 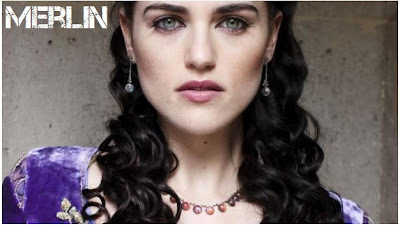 comes to clean up the city, and a beautiful, mysterious woman arrives with a dangerous secret. PEAKY BLINDERS series is created by Steven Knight, who wrote David Cronenberg’s "Eastern Promises" and was Oscar nominated for Stephen Frears’ "Dirty Pretty Things"! 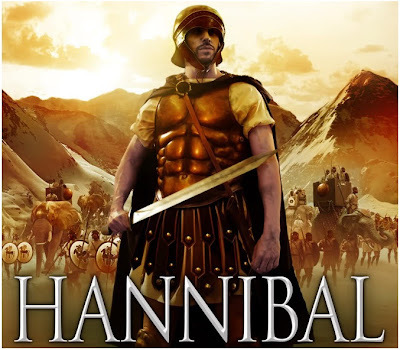 IS VIN DIESEL'S EPIC SAGA "HANNIBAL THE CONQUEROR" FINALLY GETTING PRODUCED? ZACHARY LEVI & JIM STURGESS FOR STARLORD ROLE IN "GUARDIANS OF THE GALAXY"! 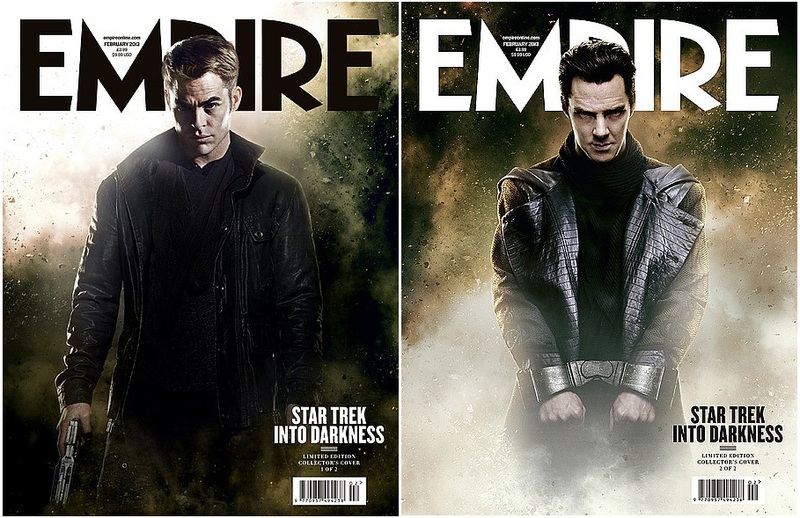 "EMPIRE" STAR TREK COVERS! 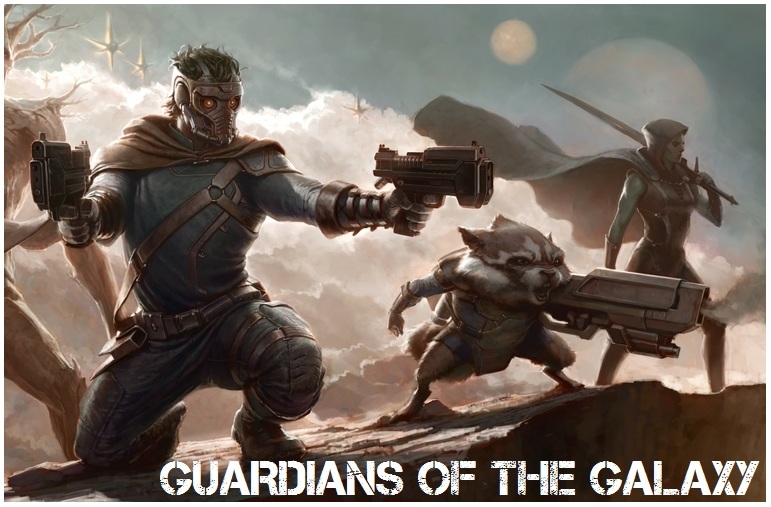 himself into the Star-Lord, an intergalactic policeman and the leader of the Guardians. 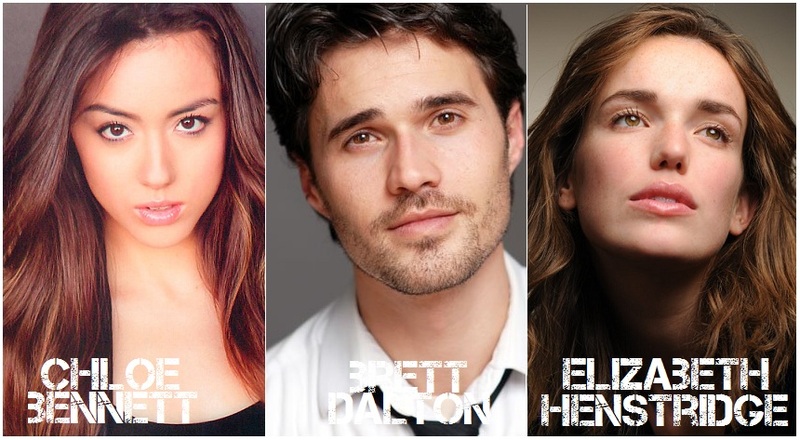 The film is scheduled for August 2014! As you know, Zachary Levi is already working with Marvel on THOR: THE DARK WORLD in which he replaced Josh Dallas in the role of Fandral, and apparently the studio likes his work on the project. TREK INTO DARKNESS which is ready to hit cinemas next summer starring also Karl Urban, Zachary Quinto, John Cho and Zoe Saldana! mentioned as possible helmer with Denzel Washington being Vin's dream choice for the role of Hannibal's father Hamilcar Barca who lead the armies in the First Punic War. guessing you have. 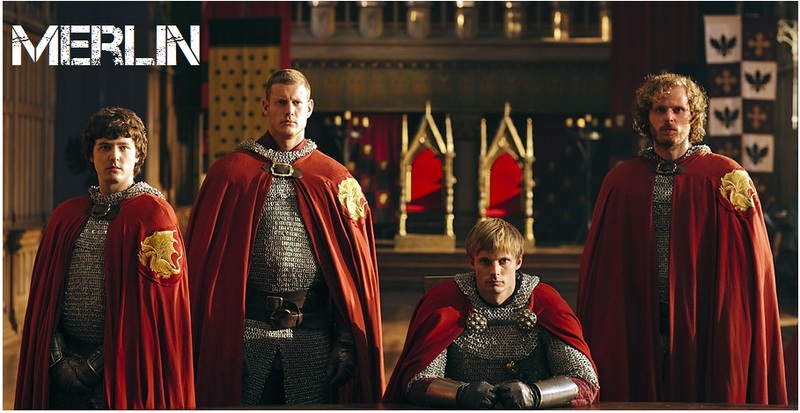 In honour of the epic fantasy, we're spotlighting the boys from the cast. First part was yesterday (and it already has thousands and thousands of readings and we also got a personal thank you tweet from dear Luke Evans), and the second one is in front of you today! 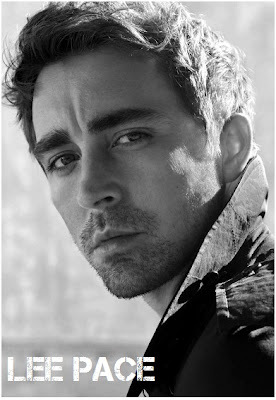 became television star in crazy show PUSHING DAISIES where he had the power to bring dead people back to life. But the role which brought him cinematic fame was the legendary one in Tarsem's THE FALL, one of visually most striking movies ever in which Lee got the chance to shine with his radiant warmth and expressive eyes next to adorable Catinca Untaru glorifying the power of imagination and creativity. I'm thinking this is exactly where Peter Jackson noticed Lee's amazing eyes and his outstanding talent (he admitted that much himself in an interview recently) and that is how Pace got the most coveted role of Elven king Thranduil in THE HOBBIT saga. Here he plays the ruler of Mirkwood elves, the father of Legolas, who will in his might and power lead his elven armies against Goblins in the Battle of Five Armies. People who watched THE HOBBIT were deeply enchanted by his appearance in it even though he only has a very short scene in it. You have watched Lee earlier this year in LINCOLN and that TWILIGHT crapfest too. 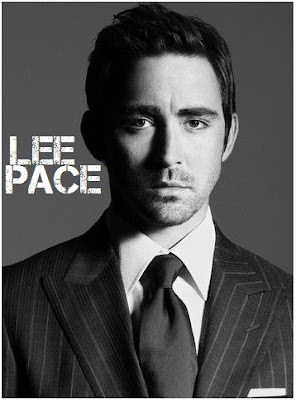 Did you know that Lee Pace was nominated for Golden Globes two times for his television work. 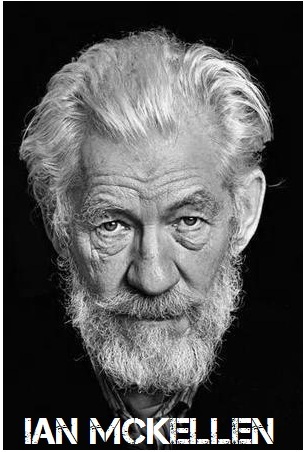 He is the same age as his HOBBIT co-star Luke Evans. 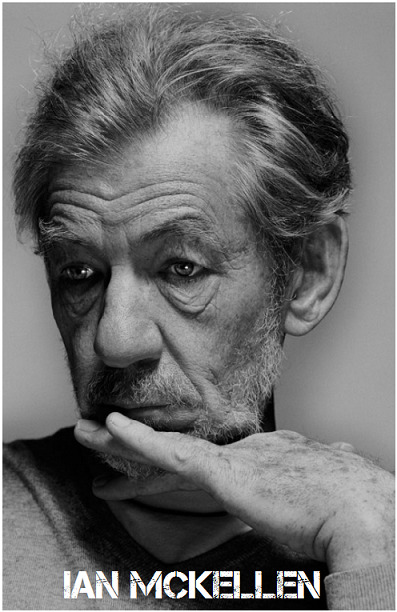 It is interesting that during his studies at Juilliard he played a lot of Shakespeare and later on he became an award winning theatre actor. He spent a big part of his childhood in Saudi Arabia since his dad was an oilman. adventure armed with the invincible courage of youth, neither being able to imagine the fate which lies before them. He will die later on defending Thorin at the Battle of the Five Armies! 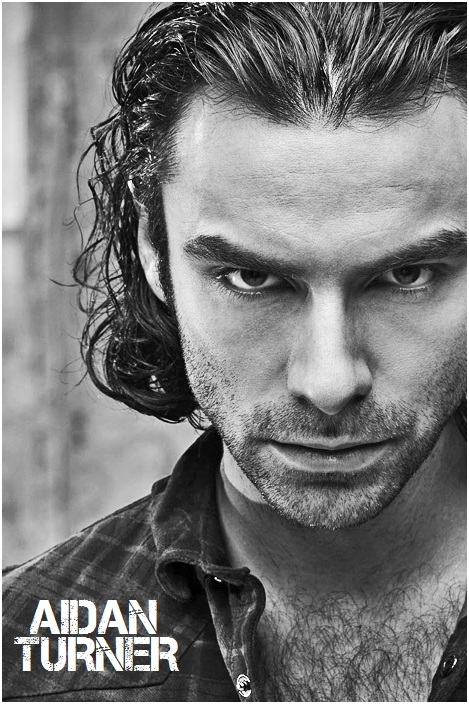 Aidan Turner has already scored another big role - he will play Luke Garroway in the movie adaptation of bestselling fantasy saga THE MORTAL INSTRUMENTS. Luke Garroway is the surrogate father to the protagonist Clary Fray (Lily Collins) a young woman who learns she comes from a long line of demon hunter! It is interesting that Aidan got this role after the director saw him in THE HOBBIT footage shown at Comic-Con! ENDS OF THE EARTH, THE LAST ENEMY and PARADE'S END. 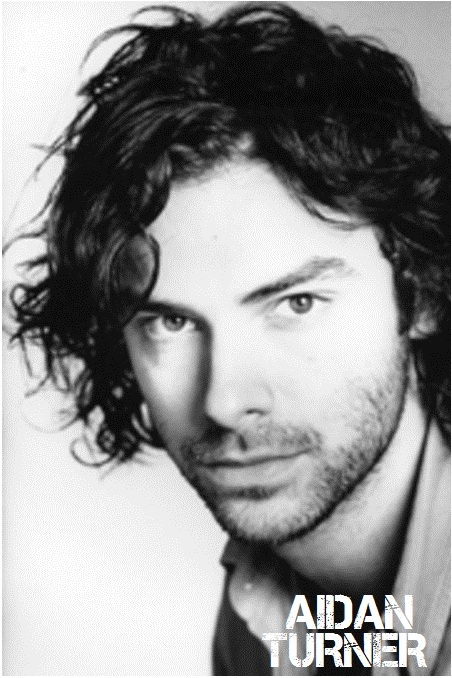 It is very interesting that he often plays in historical movies and films so we have seen him in TO KILL A KING, AMAZING GRACE, THE OTHER BOLEYN GIRL, ATONEMENT, CREATION. 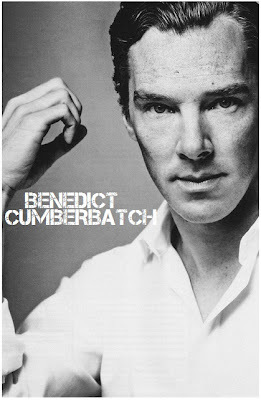 You saw him in Steven Spielberg's WAR HORSE and in TINKER TAYLOR SOLDIER SPY. He has quite a lot of upcoming projects: beside THE HOBBIT saga he will also work in AUGUST OSAGE COUNTY next to Meryl Streep and Ewan McGregor, as villainous Khan in STAR TREK INTO DARKNESS, in another historical film TWELVE YEARS A SLAVE with Michael Fassbender and Brad Pitt, and in a JULIAN ASSANGE biopic. HOLLYWOOD SPY EXCLUSIVE SPOTLIGHT ON THE HOBBIT BOYS PART ONE: LUKE EVANS, RICHARD ARMITAGE AND SIR IAN MCKELLEN! guessing you have. In honour of the epic fantasy, we're spotlighting the boys from the cast. First part today, and the second one tomorrow! two HOBBITS and in THE FAST AND THE FURIOUS 6 next to Dwayne Johnson, Paul Walker and Vin Diesel. 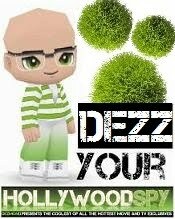 He is a frequent guest at Hollywood auditions for the upcoming blockbusters and is also a bit of a style icon with his photo shoots covering the pages of biggest fashion magazines. 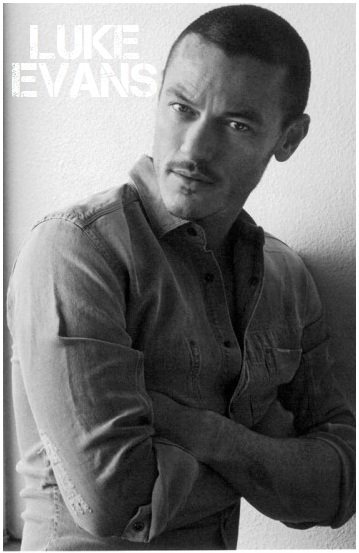 He is also known as one of the sweetest celebrities who always has time for his fans, known as the Luketeers, and you all remember how kind he was earlier this year when he personally wished your dear HOLLYWOOD SPY a happy birthday :)A true modern gentleman and a man of honour. he became a bit of an action star playing policemen in MI5 and STRIKE BACK shows. In the meantime he scored another big blockbuster in his CV - CAPTAIN AMERICA in which he played Heinz Kruger. 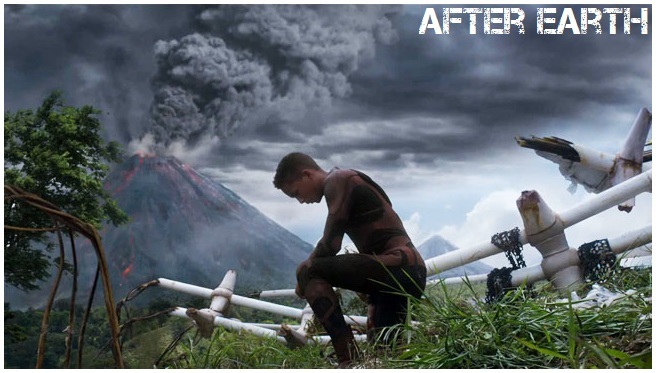 Beside the other two HOBBIT films, in the future we shall also watch him in BLACK SKY a film about a group of high school students document the events and aftermath of a devastating tornado. 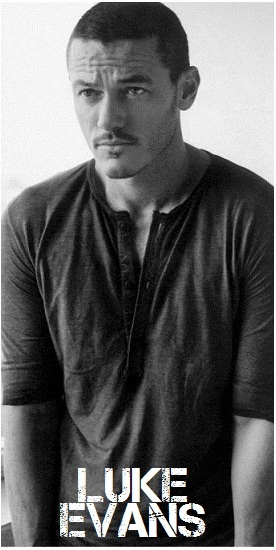 Again, similarly to Luke Evans, who has the most angelic voice and loves to sing and star in musicals, Richard is also talented for music and plays the cello, guitar, and flute. RICHARD III and GODS AND MONSTERS. Can you believe that he's never actually won an Oscar but was only nominated two times??? He's never won a BAFTA either. It is interesting that in the future we shall watch him on TV next to Derek Jacobi in ITV sitcom VICIOUS in which they will play a gay couple :) The show will revolve around friends that bicker, argue and are delightfully vicious to each other. They will play long-time couple Freddie and Stuart who have lived together in a small London apartment for nearly 50 years. A former actor and an ex-barman, their lives now consist mainly of reading, walking their dog and bickering. 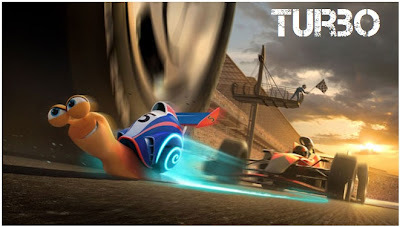 "TURBO" TRAILER WITH RYAN REYNOLDS! 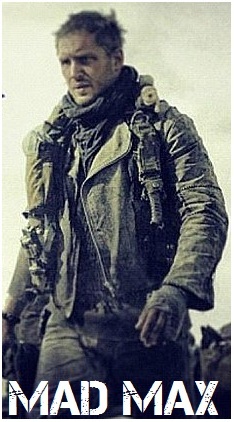 1ST LOOK AT TOM HARDY AS "MAD MAX"!MARVEL'S "S.H.I.E.L.D." 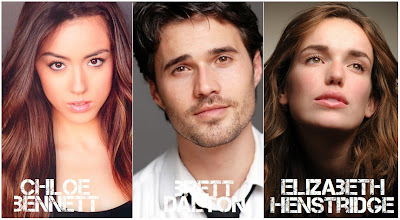 ROUNDS UP CAST! 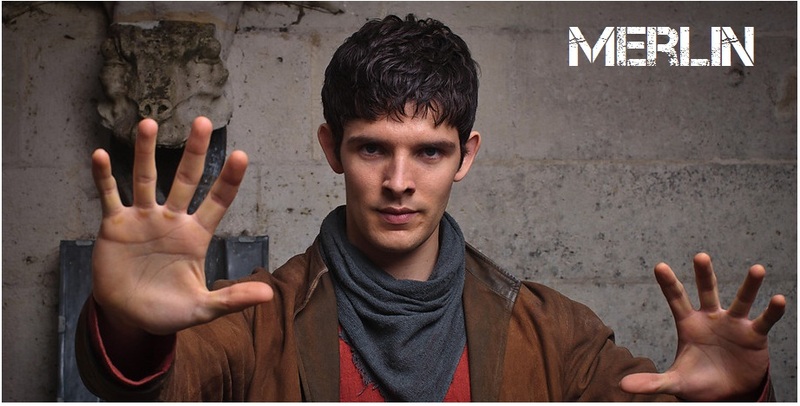 "MERLIN" FINAL EPISODE EVER TO AIR CHRISTMAS EVE! Mordred (Alexander Vlahos) preparing for war on Camelot and with the legends which say that Arthur will die surrounding the royal town. The final season airs in USA from January on SyFy. people skills)! The series will be set solely within the shadowy government organization, and will not feature any of the heroes from this summer's blockbuster "Marvel's The Avengers". after making fast friends with a crew of streetwise, tricked-out est-car-goes, Turbo learns that no one succeeds on their own. So he puts his heart and shell on the line to help his pals achieve their dreams, before Turbo-charging his own impossible dream: winning the Indy 500. Ryan Reynolds, Paul Giamatti and Michelle Rodriguez are in the voice cast.